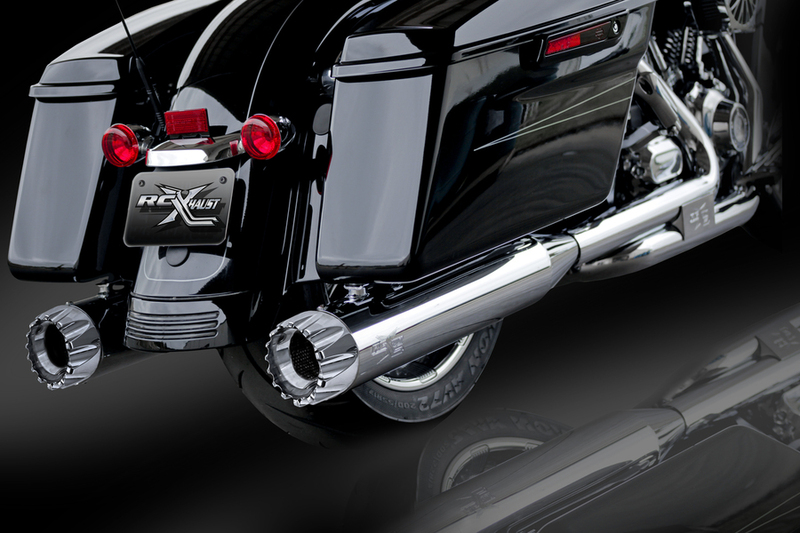 RCX Exhaust 4.5" Slip-on Mufflers, Chrome with Excalibur Chrome Tips. The RCX 4.5" mufflers are truly unique in design while offering an incredibly deep and smooth exhaust tone. Each muffler features a full length 4.5" diameter muffler body with a precision tuned 3 inch stepped core baffle. This unique baffle design transitions from a 2.5 inch louvered core into a ceramic wrapped 3 inch perforated baffle, which works to produce a deep smooth rumble while providing you with increased horsepower and torque.